When it comes to paying for your dental care, we are in-network with the providers below. We ask that you contact your provider about coverage prior to your appointment. Patients without insurance can contact our office to learn more about our dental co-op. Welcome to Legacy Smiles Family Dental, where your smile is our legacy. Our practice is a place where the entire family can visit to receive exceptional comprehensive dentistry. Our dentists – Dr. John McMurray and Dr. Brad Williams – have years of experience treating special needs children and patients with dental phobias. With their gentle manners and calming personalities, they can help even the most anxious individual feel comfortable and at home in our office. For your convenience, we offer a wide variety of dental services. From Invisalign® aligners and wisdom teeth removal to full-mouth restorations and implant dentistry, we can take care of all your family’s dental needs in one place. We also use the latest dental technology to better your oral health, including dental lasers, digital X-rays, DIAGNOdent® laser cavity detection, and intraoral imaging. Our state-of-the-art technology and comprehensive dental services, along with our gentle, personalized care, help make your experience here a success. 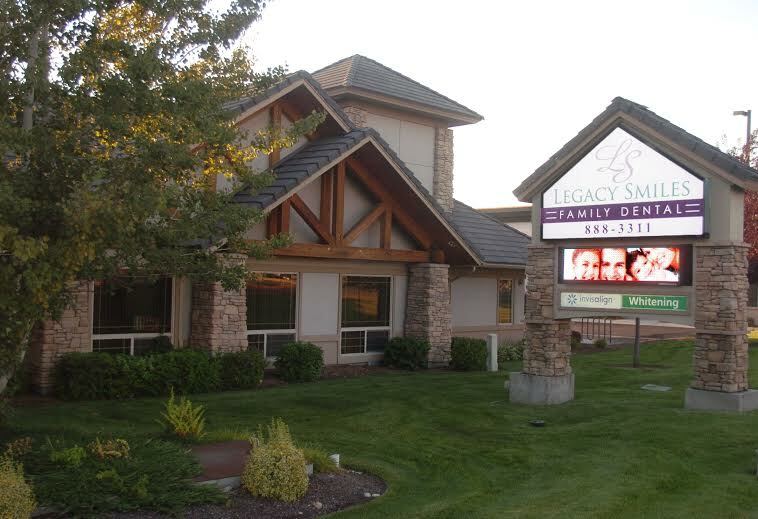 Legacy Smiles Family Dental has deep roots in the area and our team has proudly served families in Meridian, Boise, Star, Middleton, Garden City, Kuna, Nampa, and the surrounding communities in Idaho since 2000. We welcome new patients and their families to visit our office today and join our dental family. With emergency care, advanced dental technology, and a dedication to making every visit comfortable for the patient, our team can help you have a pleasant experience as we enhance your oral health and smile. We look forward to meeting you soon! We offer same day emergency appointments when you call by 2:00 p.m.!